Last week, Google released its own native YouTube app in the App Store for iPhone and iOS devices. Although this is the YouTube native app now, YouTube links from Safari, text messages or other places will open up in the stock (old) YouTube app. But thanks to Cydia, if you have a jailbroken device, you can open YouTube links or videos in the new YouTube app by just downloading a tweak from Cydia. 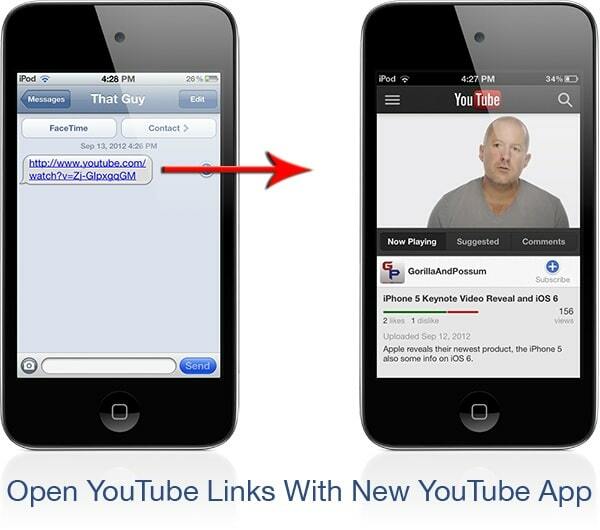 YTOpener is a new Cydia tweak that will open YouTube links in the new YouTube app from where ever it found it. As good as it may sound, the tweak appears to only open desktop YouTube links, not mobile links. But it’s a good idea to have it and wait until the developer update it and fix this issue. YTOpener is available in Cydia for free.